Congratulations TSV TEAMS AND STAFF!!! Texas Synergy 14 National wins 1st in Spike it Down Tournament! ​Texas Synergy 14 Green wins 3rd at Lone Star Warm UP! 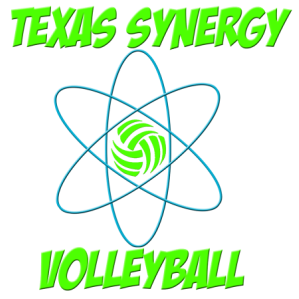 Texas Synergy 18 Green finishes 21st out of 75 teams @ BigSouth National Qualifier! Texas Synergy 14 Green wins 2nd in Silver Bracket in the Elite Division@ Cross Court! Texas Synergy 12 Pink wins 1st at Central Texas Draw! Texas Synergy 18 Green wins 1st in Silver bracket at Volleyball Showcase of Texas! Texas Synergy 15 Green wins 3rd at Alamo Classic! Texas Synergy 15 Green wins 2nd at Winter showdown! Texas Synergy 14 Blue wins 2nd at Texas Legends #1! Texas Synergy 16 Green wins 3rd at AP #3! Texas Synergy 16 Green wins 2nd at Round Rock Round up! Texas Synergy 14 Green wins 1st at Aggieland Classic! Texas Synergy 14 Green wins 1st at Legacy Challenge! Texas Synergy 14 Green wins 2nd at ASC #2! Texas Synergy 16 Green wins 3rd at Mistletoe Madness! Texas Synergy 14 Blue wins 3rd at ASC #2! Texas Synergy 15 Green takes 7th at Tour of Texas Warm Up! 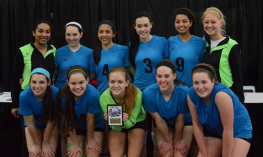 Texas Synergy 18 Green wins 2nd in silver bracket at 2015 kickoff! 13 Blue finish 3rd in Gold bracket! 14 Blue finish 1st in Bronze Bracket! 16 Blue finish 5th overall in the Gold bracket! 13 Blue finish 7th overall in Gold Bracket! 14 Green finish 15th overall in Open Division! MLK Challenge - finish 2nd in pool play and 3rd overall! MISTLETOE MADNESS - Finish 1st in pool play and 2nd overall!! CENTRAL TEXAS DRAW - finish 1st in pool play and 1st overall! CROSS COURT CLASSIC - finish 1st in Bronze Bracket in Elite division! LONE STAR CLASSIC - undefeated 1st two days and take 5th in Gold Bracket! LONE STAR REGIONALS - undefeated in pool play and takes 5th overall! MLK CHALLENGE SAN ANTONIO - Finish 2nd in pool play and 12th overall! WINTER SHOWDOWN - Finish 1st in Pool Play and 2nd overall! TFV #1 - finish 1st in pool play and 2nd overall!! Texas Legends - undefeated and wins 1st overall! Colorado Cross Roads - finish 25th overall! Fury Frenzy - finish 2nd in pool play and 3rd overall! APV#1 -Finish 2nd in pool play and 3rd overall! TEXAS ECLIPSE -GOES UNDEFEATED finish 1st in pool play and 1st overall! Lone Star Classic- GOES UNDEFEATED 1st two days finishes 5th overall! going 6-1 for the tournament. Lone Star Regionals - goes undefeated day 1 and finishes 3rd overall in the gold bracket! Cross Court Classic - 13 Blue takes 7th in the gold bracket!